The Complete Comfort Mat is just that, Complete Comfort! 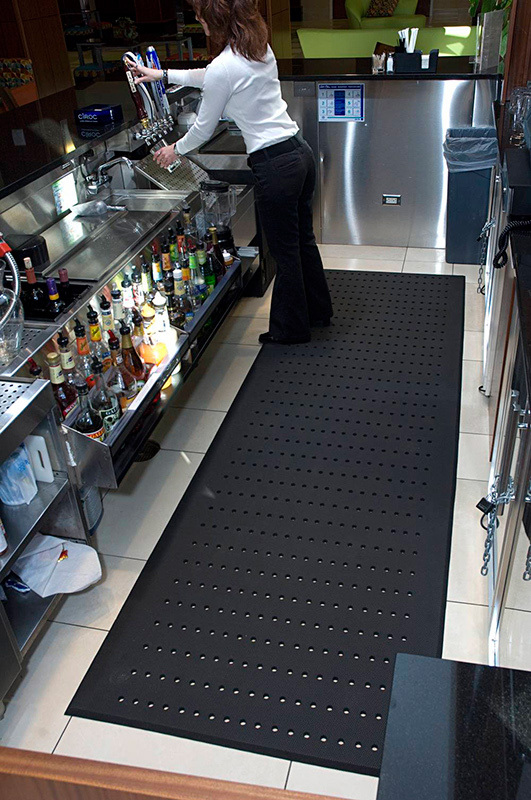 This commercial kitchen mat is by far one of the most comfortable anti-fatigue mats on the market. 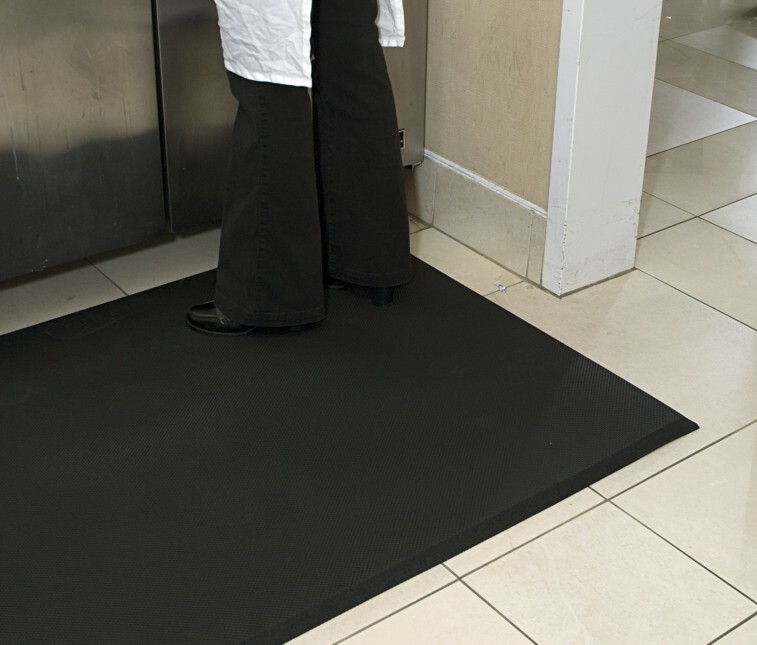 Not only that, this mat is made of 100% closed cell nitrile rubber which is anti-microbial treated and resistant to liquids and chemicals, unlike some other pvc foam anti fatigue mats. The textured surface provides traction in wet conditions and the beveled edges on all sides prevents trip hazards. Choose from 6 standard sizes of anti fatigue kitchen comfort mats or from custom lengths up to 60'. Lightweight, easy to clean, comfortable and durable, this mat will work in just about any application!